Etosha Zebra by Paul van Schalkwyk. Etosha is the perfect place for campers who want the combination of facilities and wildlife, within the safety of a protected camp. 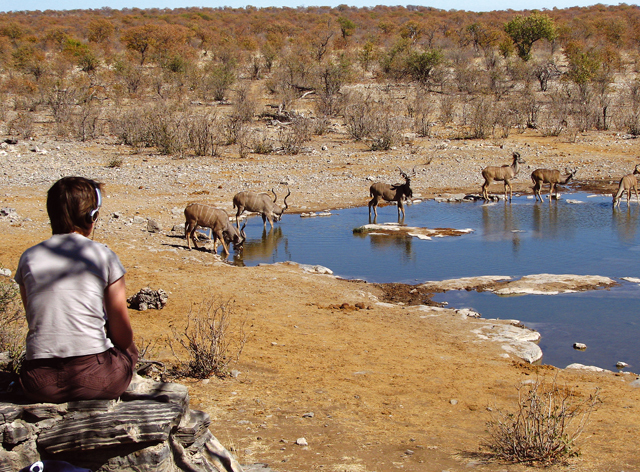 Paying the additional daily park fee is well worth it, making your Etosha National Park stay a complete experience. Panorama at Etosha National Park. There are those travellers who are campers by choice, when holidays include sitting outside next to a glowing campfire watching the jewelled heavens, and going to bed with the night sounds lulling you to sleep, curled up in the cocoon of a sleeping bag. This is an opportunity to feel the atmosphere of Etosha without venturing back and forth from the park trying to make sunrise and sunset gate times. At night, when the day visitors depart, it’s time to sit at the floodlit waterhole, a highlight at all the camps, giving you the rare opportunity to watch animals you don’t normally encounter. The illuminated waterhole has a strange unreal quality, a bush stage with an all-star cast. When you fall asleep at night, you may have the good fortune of hearing a lion in the distance and in the morning you are fresh to explore the park as the gates open. Camping at Okaukuejo, Halali and Namutoni, the camper has full use of all the facilities, from the large swimming pools to the restaurants, shops and waterholes. There are small kitchens and washing-up areas, communal ablution blocks, barbecues, taps and electricity points. 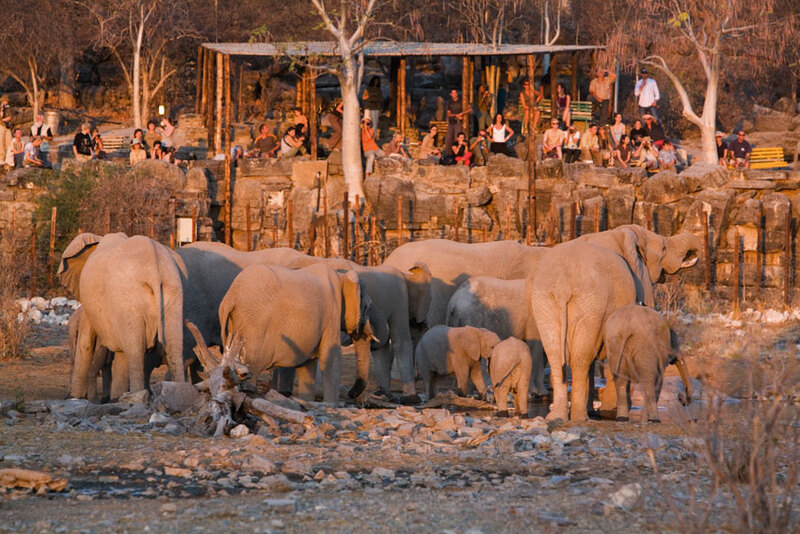 At Okaukuejo the campsite is conveniently situated across from the large waterhole, known for its spectacular winter sightings of black rhino and elephant. Don winter woollies and warm headgear for this popular and impressive waterhole. A great sundowner experience is to climb the tower for a golden view of the surrounding plains. Situated between the other two camps, approximately 70 km from both, Halali Resort has a different atmosphere. The Moringa waterhole can be viewed from a rocky hill which is only a short walk from the camp. It is quieter than Okaukuejo, its natural rocky setting and distance from the camp making it a peaceful place to sit. For those driving through the park, Halali makes a good halfway stop. It is recommended to travel slowly and overnight at all the camps, allowing enough time in the days to explore Etosha’s many routes. Don’t be deceived by distances; due to the 60-km speed limit, gravel roads and animal encounters, travelling usually takes longer than anticipated. During the middle of the day, most of the animals will be utilising shady spots, but it is still worth the walk to the waterhole where kudu may be drinking, lazy terrapins soaking up the sun and turtle doves trying to convince you to ‘sleep later, sleep later’ with their lethargic call. Driving into Namutoni, Damara dik-dik, Namibia’s smallest antelope, can be seen catching the golden light of the late afternoon. 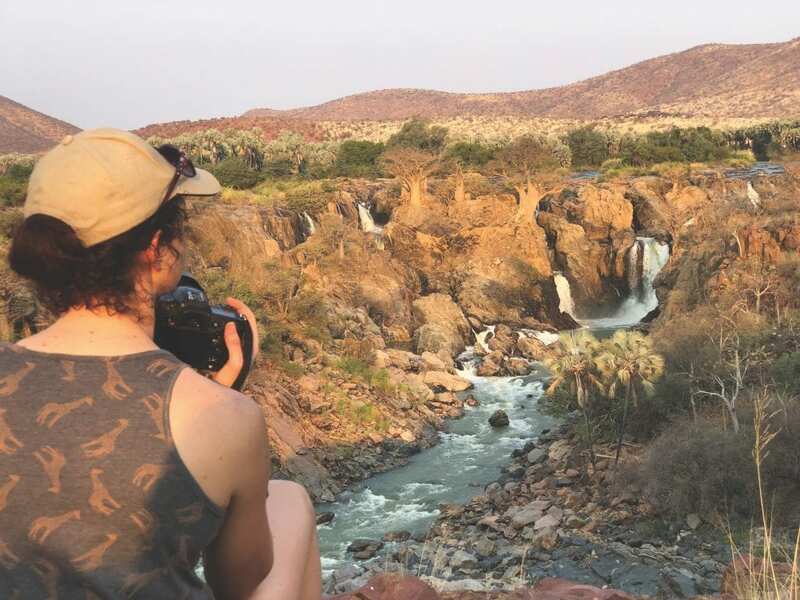 If you still have enough time, or perhaps the next morning, drive out to experience the beauty of Fischer’s Pan and the surrounding waterholes. Namutoni’s campsite is grassier than the other two and has banded mongoose and warthog, Africa’s version of campsite critters, scurrying about. 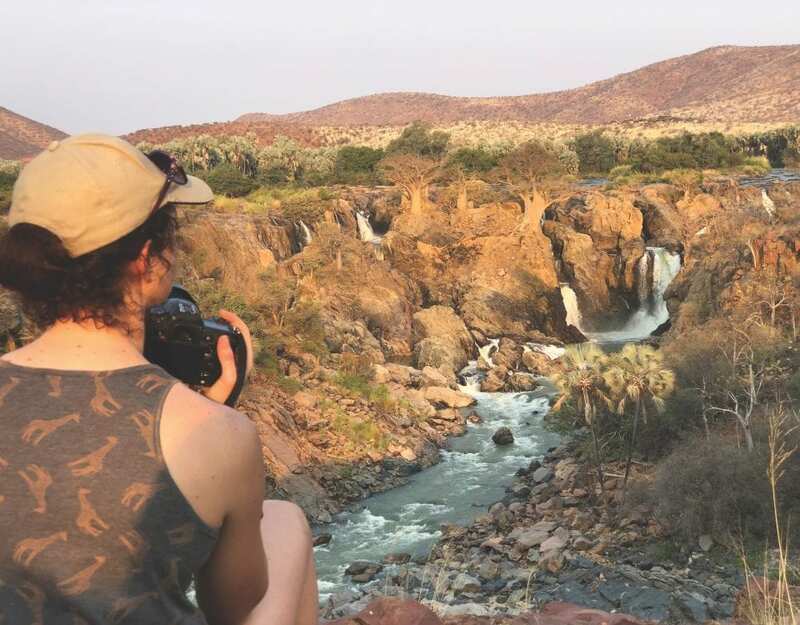 This peaceful campsite with the air of an old fort, has a choice of Acacias to camp under and its own small and reedy waterhole. It is an important time to quieten down and listen to the night sounds of the bush, learning to recognise the grunts and groans of animals large and small. The rough sawing sound of a leopard drifts out from the darkness, as he appears and then disappears into the reeds and shadows. I keep listening to the unusual sound merging with the insects, as I sit awed by the starry sky and the night’s many blessings. This article appeared in the June/July ‘08 edition of Travel News Namibia.